Misiuk Funeral Home has warm and intimate surroundings to make you feel at home during a difficult time. 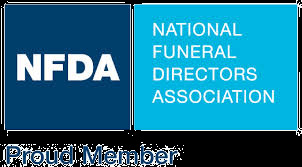 Every family has personal preferences, whether you prefer a large or small gathering, our funeral home is designed to provide you with the accommodations you need to fully commemorate the life of your loved one. We are located in Chesaning, Michigan just off M-57 in southern Saginaw County. Our facilities are accessible to the handicapped and there is ample parking.